The Sands Hotel Resort & Spa near Newquay, Cornwall ticks a lot of boxes for families looking for a kid friendly resort for their holiday. Just imagine being sandwiched between rolling hills with open fields and stunning costal views for a start. I bet you’re feeling relaxed just thinking about it aren’t you? Well that’s exactly what you’ll get when you arrive at Sands Resort Hotel and Spa for your family holiday. The Sands Hotel Newquay has excellent facilities and prides itself on its family friendly service. Both of these things, and much more helps to create a relaxed atmosphere for families to enjoy some quality time together. These are huge wins for a great family holiday in our book. Where is Sands Hotel Resort & Spa? The Sands Hotel Resort & Spa is in Porth, just outside of Newquay in North Cornwall about halfway between Porth Beach and Watergate Bay. 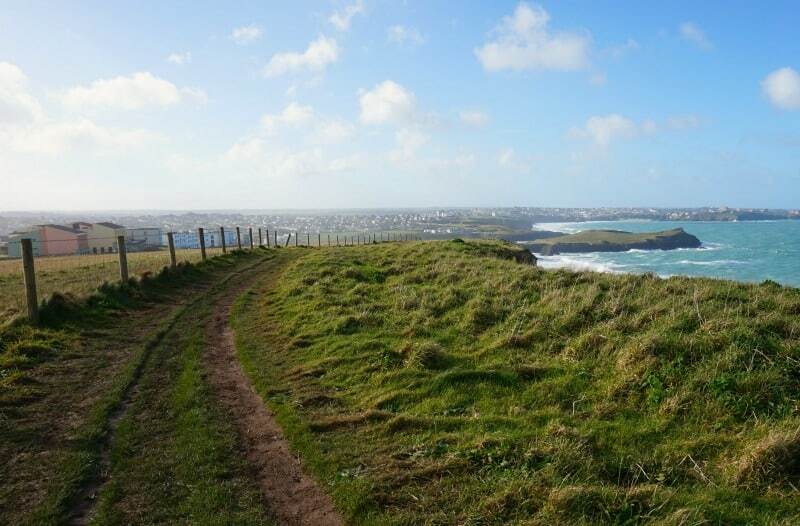 The out of town location of Sands Hotel provides the most beautiful uninterrupted views of North Cornwall’s coastline as well as great access to Newquay, the local attractions and two great beaches. 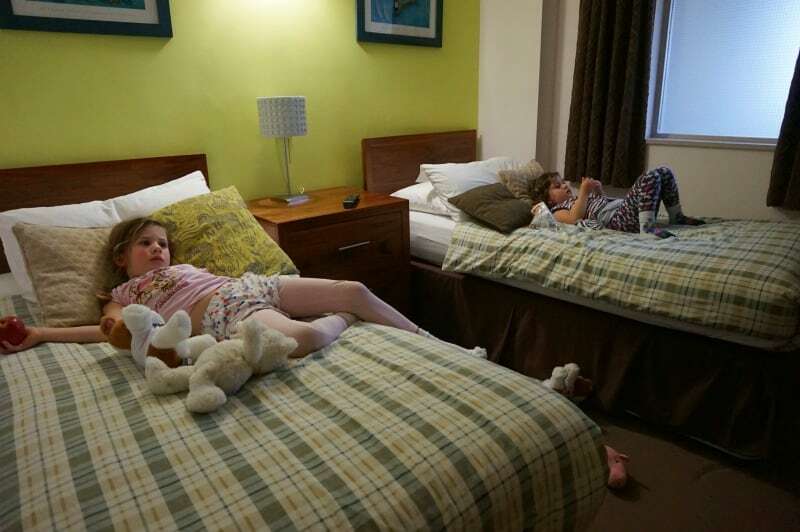 We were invited to Sands Resort Newquay for a 2 night stay during February half term. We were very excited about out visit and to learn more about the Sands Resort Hotel family friendly facilities. We arrived at Sands Resort Cornwall on Monday afternoon following a busy day playing on Porth beach and learning more about Newquay Rocks, but more on that later. 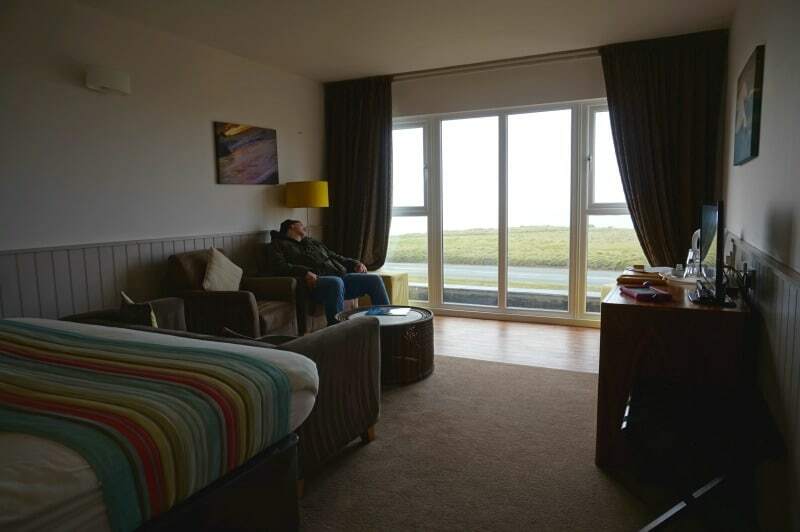 We were immediately impressed with the stunning costal views at the Sands Hotel and were very excited about staying in our family sea view suite for the next couple of days. I had a feeling we were going to be very comfortable at the Sands Resort during our short break. 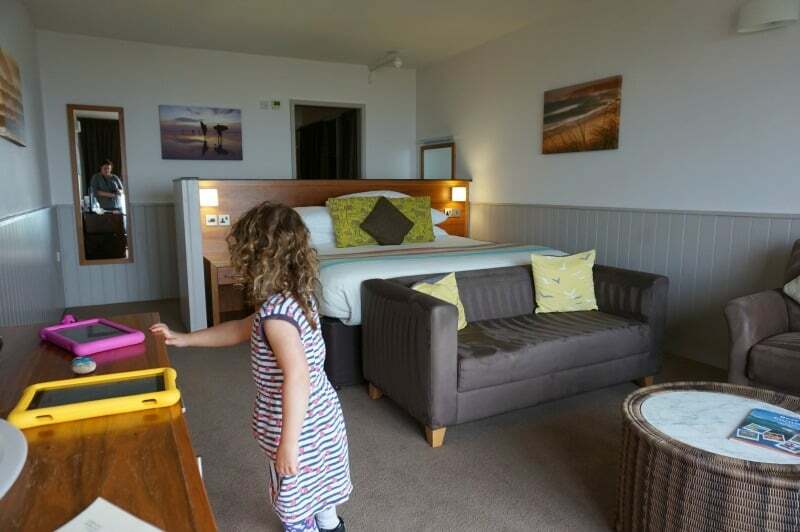 Our family sea view suite definitely did not disappoint and the girls were excited to have their own room for our stay at Sands Hotel Cornwall. They were even more excited that their room had a TV in it and they could watch it from their beds as an extra special treat. It was great that this hotel feature at Sands Resort Newquay gave Daddy and I the chance to watch something a little bit more grown up on the TV for a change. We also had the chance to enjoy the sea view with a little peace and quiet, which we also really appreciated. The children’s hotel bedroom led to a corridor with a well equipped bathroom on the right and an excellent amount of storage space on the left. This was hidden away by curtains to make the Sands Hotel suite feel neat and tidy. As we were only staying at Sands Resort and Spa for a few days, we didn’t spend a lot of time getting organised and unpacked, so it was nice to be able to hide our suitcases and bags away in the wardrobes. There was definitely plenty of space though. If you were going to be staying at Sands Newquay longer, I don’t think you would have any trouble at all storing all your belongings away. At the end of the corridor was a huge bedroom and sitting room combined. The full length windows provided an excellent view of the coast both from the sofas and the king sized bed. We also had use of a large flat screen TV, a desk, a fridge and tea and coffee making facilities. We loved the decor and furnishings in the suite too. It was very well coordinated with a fresh bright holiday feel throughout. It definitely felt like the Sands Resort Hotel & Spa Newquay were invested in making their guests feel comfortable and have everything they needed. I bet your family is really busy when you are on holiday, but you also need a place to enjoy some quality down time at the end of a long day. The sea view suite at Sands Hotel Resort & Spa will definitely provide you with a great space to relax together at the end of the day. Sands Cornwall provides a couple of options for family friendly dining. 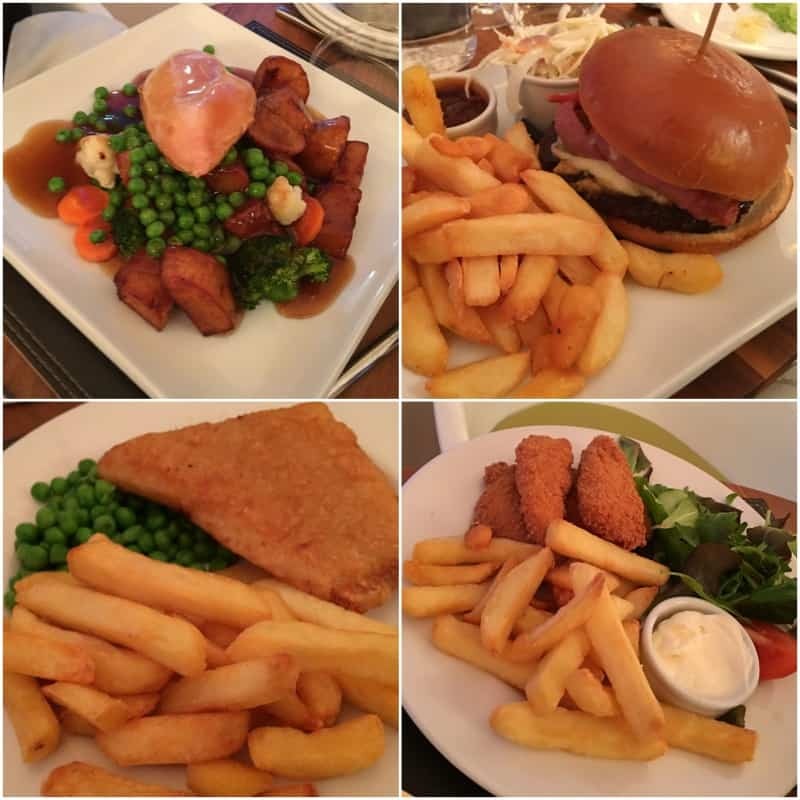 A family supper is available from 5pm with a good selection of children’s meals. We chose to dine with the children, which meant we could chose adult portions from the Sands Hotel children’s menu. It was a limited selection, but the food quality was good. We all enjoyed our meals, and the bonus of eating at this time was we all got to enjoy the sunset together given the time of year we were staying. There is an option to dine later and the Sands Hotel Newquay provide a baby listening monitoring service. It means you can put the children to bed and go to the Sands Hotel restaurant later and enjoy the main menu. There is a baby monitor in the children’s bedroom monitored from the Sands Hotel reception. Our children are of an age where we didn’t feel comfortable using the baby monitoring service at the Sands Newquay. They are big enough to get themselves into quite a lot of trouble in a short space of time but too young to appreciate the responsibility of being left without parents, even for a few minutes, so we didn’t want to risk it. You can never be quite sure when they will finally go to sleep as well, so eating together as a family was the best option for us. The food at Sands Resort Spa was lovely, but sadly we didn’t quite make it to dessert. Our children, like lots of others, don’t always want to sit nicely for dinner and this was one of those nights. Every time we asked Indie to stop doing (insert annoying child behaviour here), she would just find something else to do that was equally as annoying. We decided that desserts weren’t really deserved that night and perhaps an early night at the Sands Resort Hotel for our two children was the better option. The family breakfast at Sands Resorts was also good quality with an excellent buffet of hot food and a good continental selection available in the morning. We were served fresh coffee to our table by our incredibly friendly waitress and could help ourselves to fresh juice for the girls. It was the perfect set up for the day. Sands Hotel Resort & Spa provide a range of childcare services. Every family receives a free kids club session for each child staying with them at the Sands Resort Newquay. One session in the creche lasts for an hour and a half. You can book further sessions, and at only £5 per child they are excellent value for money. We booked both the girls in to the creche for Tuesday morning and it seemed like perfect timing all round. Quality time with the family is great but being together for a holiday when you usually only spend a few hours a day together can present challenges. The free childcare session in the kids club gave everyone the chance to recharge their family batteries. If we had of stayed longer at the hotel I suspect we would have used the kids club on a couple of occasions. The children had a great time in the kids club and had clearly been very busy given the toys that Brook was surrounded by and the paintings Indie had done when I collected them. 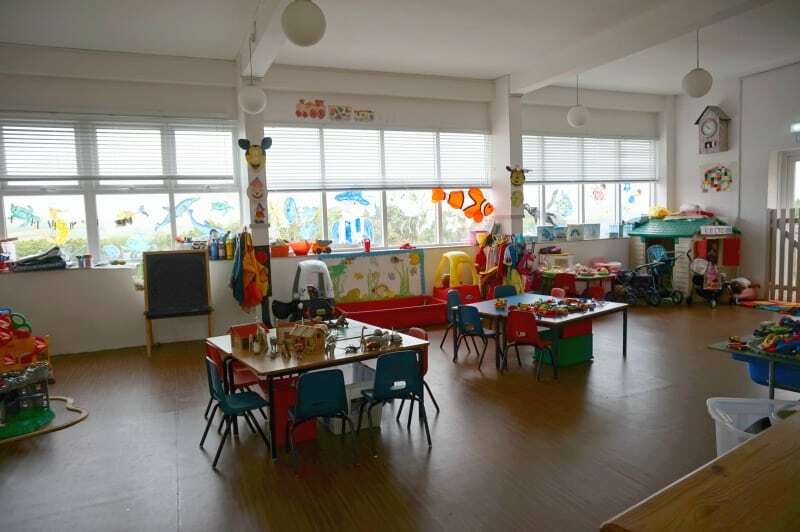 The facility was very much like a mini nursery with an excellent selection of toys and activities for the kids to choose from. The staff who watched over them while they played were lovely too. Sands Resort has an excellent range of facilities for families to enable them to enjoy their holiday in Cornwall. We really loved the indoor play room and soft play. 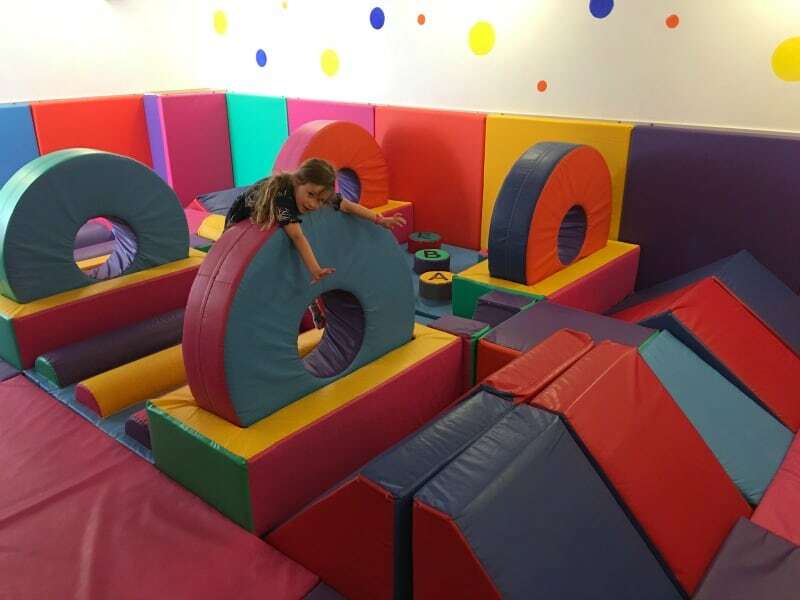 There was a choice of cars, slides and houses to play in, and the soft play room was an excellent size for the children to use. It was also really handy to have a convenient toilet nearby for the kids. When a child demands they need a wee, the last thing you want is to go on a toilet hunt through the entire hotel. You also have access to a small indoor pool during your stay. On this occasion we didn’t have time to use it, but lots of families were making the most of this particular facility while we were there. There’s lots of facilities outdoors too, which I suspect really come into their own in the summer months. The girls loved the maze and the outdoor play area at the Sands Resort Hotel and Spa especially. There’s even bouncy castles which the porter was kind enough to put up for us when he saw the girls playing outside. There’s also access to a golf course, outdoor swimming pool and sports courts for families to use if they are staying here in the summer. 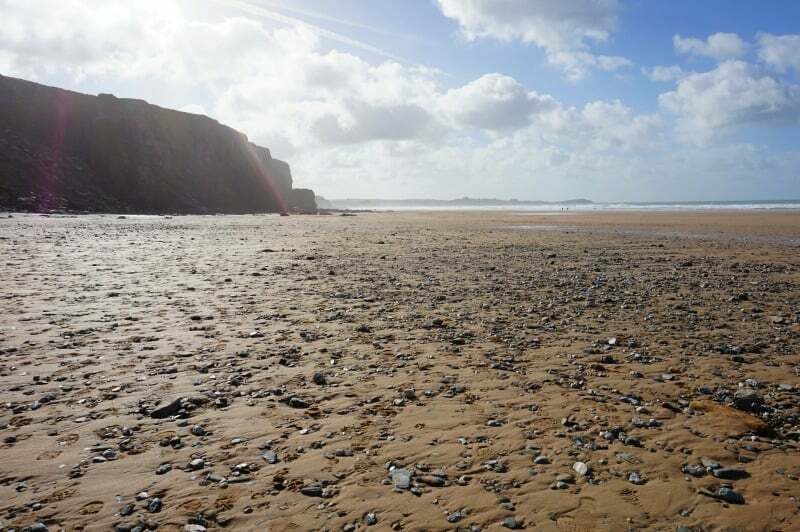 If you want to explore the North Cornwall coastline, then Sands Hotel Resort & Spa is a great location to use as a base. Straight across the road from the hotel you can join the coastal path and follow it to Watergate Bay (about 35 mins) or Porth Beach (about 25 mins). Which ever way you go, you are promised breathtaking scenery and wonderful sea views. We had a very relaxing 2 night stay at the Sands hotel during February half term. Despite being technically winter, we enjoyed beautiful blue skies and dry weather in very comfortable hotel surroundings. The staff at the Sands Resort Hotel & Spa were incredibly friendly and very helpful at answering any questions we had. The hotel was maintained to an incredibly high standard and the decor throughout was beautiful and brimming with Cornwall holiday vibes. The reception is both welcoming and nautical which really helps set the scene for your stay. It’s also worth noting that Sands Resort Hotel & Spa also has a dedicated car park with lots of spaces for guest use only. We really enjoyed our stay at Sands Resort because of the quality of the accommodation and great family friendly facilities. 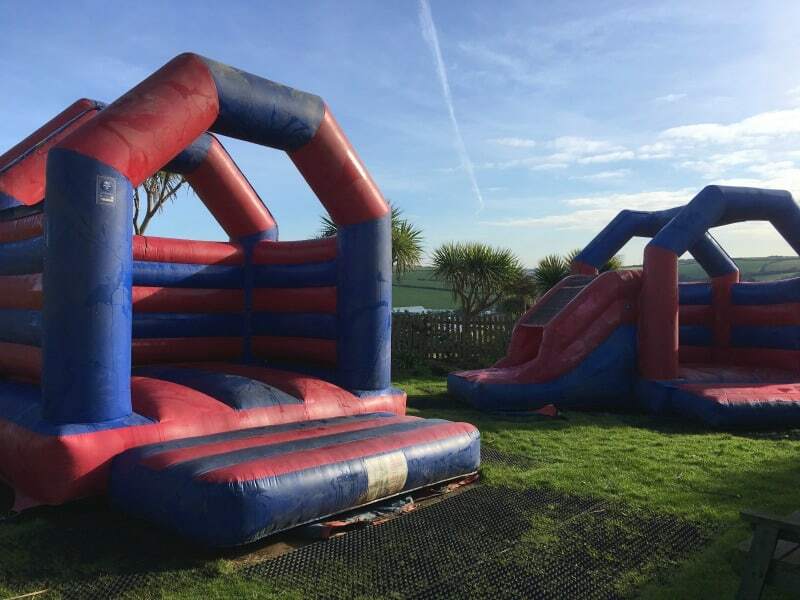 We would love to go back and experience the hotel at high season as it looks like a really fun place to be on holiday in Cornwall, with lots of activities going on. Need more info for staying here with teens? 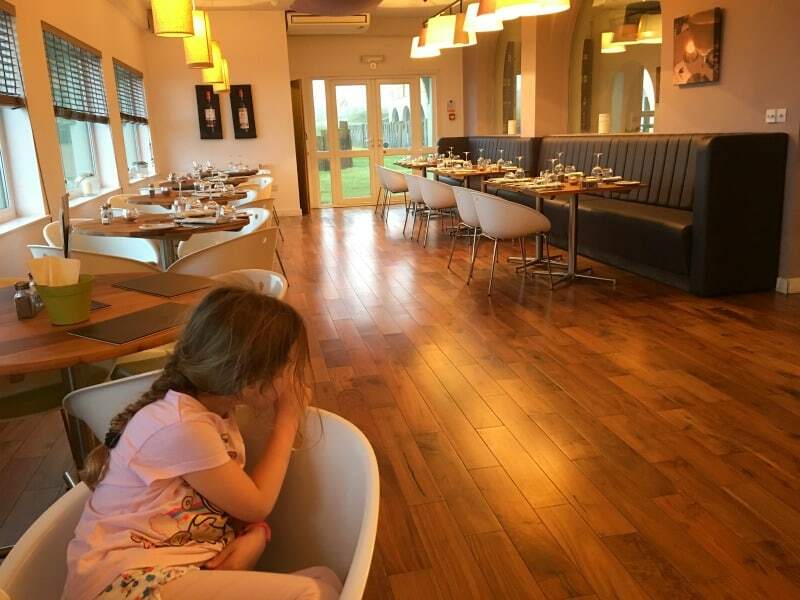 If you’d like to read more Sands Resort Cornwall Reviews, find out how Actually Mummy blog found staying at Sands Resort with older children. 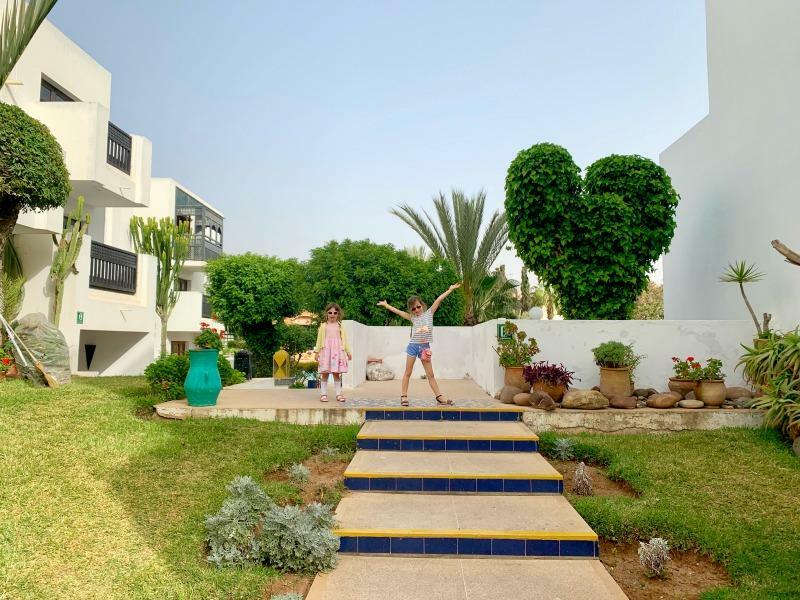 If you have enjoyed our reading about our family friendly holiday at Sands Hotel Resort & Spa, and would like to enjoy a similar trip, do check out our tips for planning the perfect Cornwall holiday. Download or view the brochure here. Find out where else we’ve stayed on our hotels page. We were provided with a 2 night complimentary stay at Sands Resort Hotel & Spa in exchange for this post but all thoughts and opinions are our own. The Best Easter Gift Guide That Doesn't Include Chocolate! Newquay is an absolutely beautiful place. I will certainly check out this place this summer!